Help us Keep Secure Hunter Anti-Malware FREE. Help Keep Secure Hunter Running with Your Donations! We want to thank all our valued users for taking the time to learn about how to keep Secure Hunter up and running. In truth, keeping Secure Hunter running smoothly and updated takes a lot of time and money, but it’s our desire to offer free spyware protection that is both effective and user-friendly. Everyone should be able to keep their computers safe without having to reach into their pockets! The problem with this belief is that our program is gaining a lot more free usage while we run out of funds to maintain it. As the love for our service goes up, so do our bills. If you’re an avid Secure Hunter user, we would truly appreciate your support through a small donation. These donations, however small, allow us to stay in business. The accumulated funds that people provide us with help us pay for bandwidth and miscellaneous factors that lead to software updates and maintenance. Of course, we do not force anyone for their donations. However, even a small amount from you can truly help us. Whatever you can contribute will help us run smoothly and allow us to provide you with even better protection in the future! 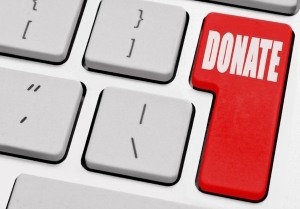 You can donate via PayPal or by Credit Card, and your information will always remain safe and private. Thank you very much for supporting Secure Hunter!